This design won first prize in an international design competition in 2004, in which Diar Consult made a joint submission with architects SOM from Chicago, USA. 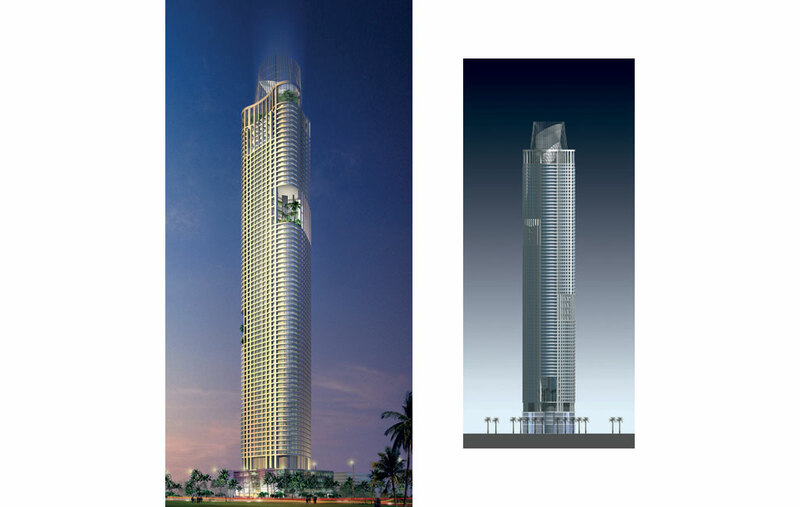 The design called for a 77-storey, mixed-use tower that was predominantly residential, on a prime site on Sheikh Zayed Road in the centre of Dubai. The concept design, led by SOM, has a triangulated footprint that dynamically changes from concave to convex along the facade on each side of the triangle. Dramatic elevated sky gardens are created through which the residential units and the gardens become vertical neighbourhoods, efficiently linked together by a vertical transportation system. The form and geometry reflects fluidity, and the dynamic form emulates the free shapes of a sand dune. The triangulated form captures stunning views of city skylines and the sea. The design did not progress beyond concept stage because of the client’s changing development strategy.